President Muhammadu Buhari will on Sunday depart for New York to attend the 73rd Session of United Nations General Assembly (UNGA73) which officially opened September 18, 2018. In a statement by the Special Adviser to the President on Media and Publicity, Femi Adesina, says, the high point of President Buhari’s participation will be his address on Tuesday to the General Assembly on the opening day of the General Debate. The President’s presentation of Nigeria’s National Statement is expected to reaffirm the nation’s commitment to international peace and security; sustainable socio-economic development; disarmament and denuclearisation; youth and women empowerment; climate change; rule of law and human rights; among others. He is also expected to canvass for the international support for the fight against corruption; the return of illicit assets; counter-terrorism and insurgency; curbing irregular migration; re-settling Internally Displaced Persons (IDPs); recharging the receding Lake Chad; and calls for the reform of the United Nations, especially the expansion of the permanent membership of the Security Council to make that vital principal organ of the global organisation reflect regional and equitable geographical representation. 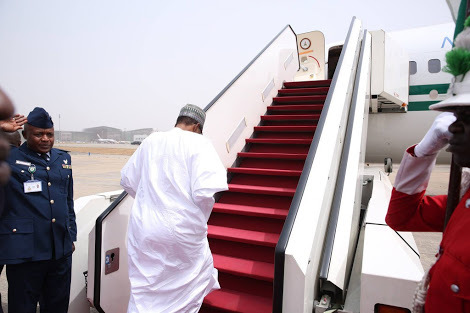 The President and his wife, Aisha, will also attend a welcome reception hosted by the UN Secretary-General, Antonio Guterres and his spouse for Heads of State and Government and their spouses. President Buhari and his delegation will participate in a High-Level meeting on the Fight against Tuberculosis organised by the World Health Organisation as Nigeria currently ranks seventh amongst the high TB-burden countries globally, and second in Africa. The Nigerian delegation is expected to attend the Mandela Peace Summit, which is a High-Level Meeting on Global Peace in honour of the centenary birth of the late South African President and Nobel Peace Prize winner, Nelson Mandela.